Here we have another blog by our good friend Chris Holt aka The Toy Viking. Munny is back….with a VENGENCE!!!! Ok, not really a vengeance per se, but he is back from an extended vacation and he’s ready to help you bring your ideas to life. He’s the same awesome DIY vinyl toy from Kidrobot that he’s always been, but now he comes in a killer new window package that can double as a display case. Once you finish sculpting, painting, gluing, or drawing on him, you can put him back in for an easy way to protect your new creation. Remember how great it felt to have your art hung on the fridge at home? Now imagine stacking these on top of it as a monument to your artistic genius! Always think big, then push it just a little further. Once you’ve created your masterpiece remember to share your work on all your favorite social media platforms, cause you never know who is watching. Countless artists went from hand crafted goodness to full blown production runs from Kidrobot: J*Ryu, Squink, Mab Graves, and The Bots are just some recent examples. The possibilities for your art are as endless as the snow crab legs on a casino buffet. 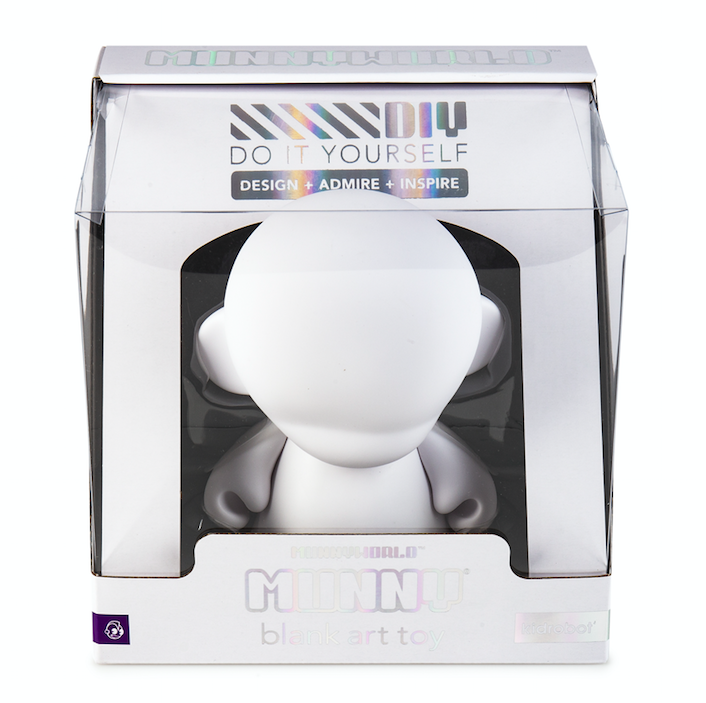 So whether you dream of toy making stardom or you just want to have a fun way to spend the day with your friends and family, Munny is the perfect vehicle to realize your vision. Get started today by visitingwww.kidrobot.com.